Balance Belgian Dark Chocolate Bar is a healthier way to indulge your sweet tooth. Made with maltitol and free from sugar, Balance brings you the best bits of dark chocolate without the added sugar. Pure cocoa mass and cocoa butter with a lingering taste of delicate vanilla. The choice for dark chocolate lovers who don't want unnecessary sugar in their snacks. 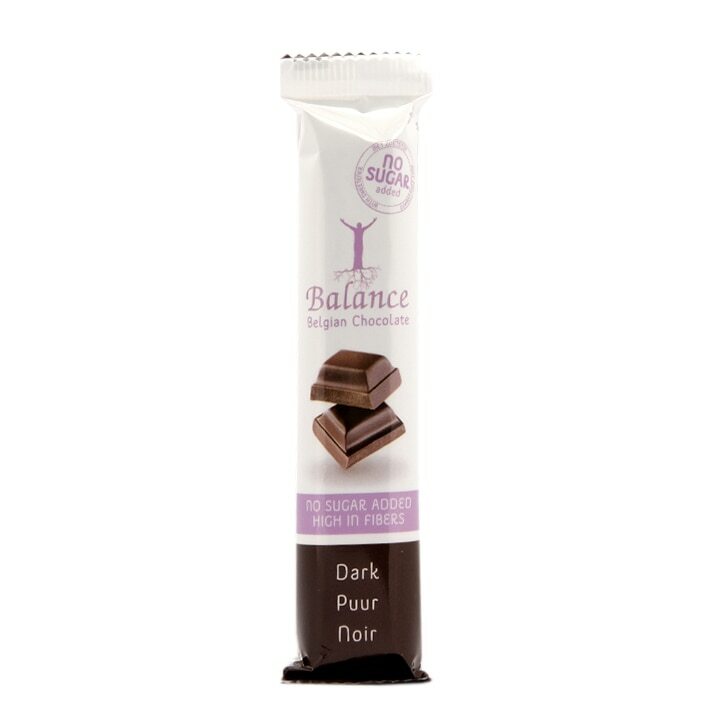 Balance Belgian Dark Chocolate Bar is rated 4.4 out of 5 by 8. Rated 1 out of 5 by dont know from balance dark chocolate bar i had to throw my 6 bars away , they must of melted at one time , i opened 2 of them bits fell out they were not in squares , just a short lump of chocolate 2 tone. Rated 4 out of 5 by Anonymous from Nice sugar-free choc - buy xylitol would be better While maybe not 100% as nice as high-quality 'normal' chocolate, this is a very satisfying chocolate bar that I enjoyed in both the 'milk' and 'dark' variety. The main sweeteners used are maltitol and lactitol, and from what I have read (without going into the quite complex subject matter, it involves sweetness level, GI and tooth-friendliness), these are not as healthy and effective sweeteners as xylitol or erythritol. I hope H & B will consider adding xylitol-based chocolate to their range soon.